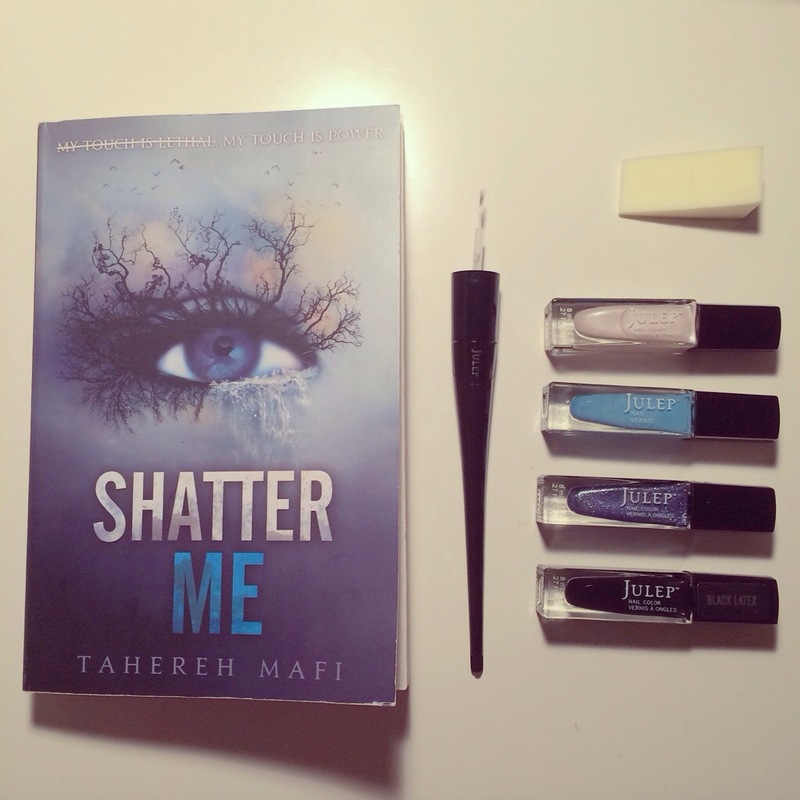 It’s hard to be a YA Fiction book blogger/lover without hearing rave reviews of the Shatter Me series by Tahereh Mafi. Not only is Mafi half of an incredible powerhouse writing couple (married to Ransom Riggs), but she holds her own as an author in a world filled with dystopian novels. I wasn’t completely sure what to expect when I ordered the book, but I was excited to get reading nonetheless. And let me tell you, Shatter Me did not disappoint! I was glued to the pages right away, and the twists started early and kept coming. I love when I find a book that takes a fresh twist on a genre I read so much of. From the writing style and attention to detail to the character development, I felt very invested in the novel, which I attribute to Mafi’s talent. One thing I didn’t realize about the series is that it has much more romance than say, The Hunger Games. I’m not usually one to get super excited about a romance novel, but the plot itself was able to hold its own enough for me to feel like the love aspect added to the overall book. I am so interested to see Warner’s character develop through the rest of the book. His flashes from good to evil have my interest piqued, and I am so looking forward to more of him in Unravel Me. 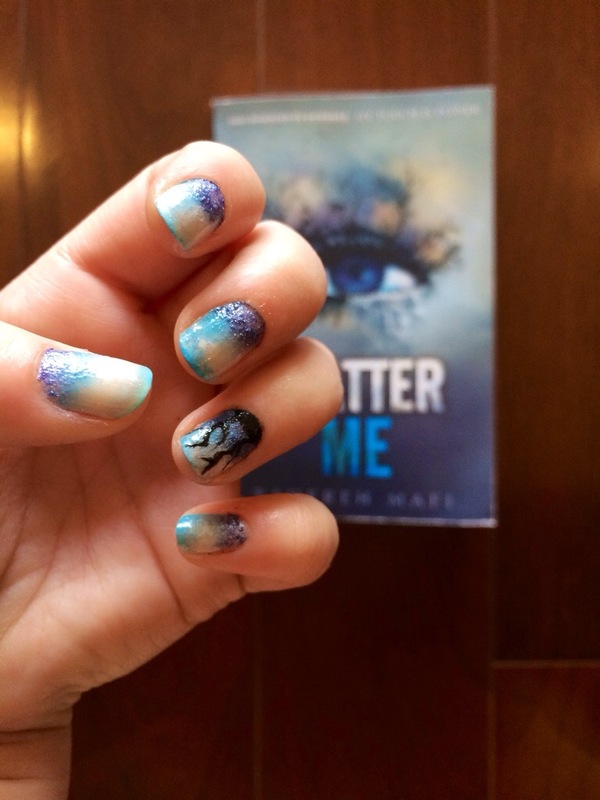 Now, let’s get down to the fun stuff – Shatter Me inspired nail art! 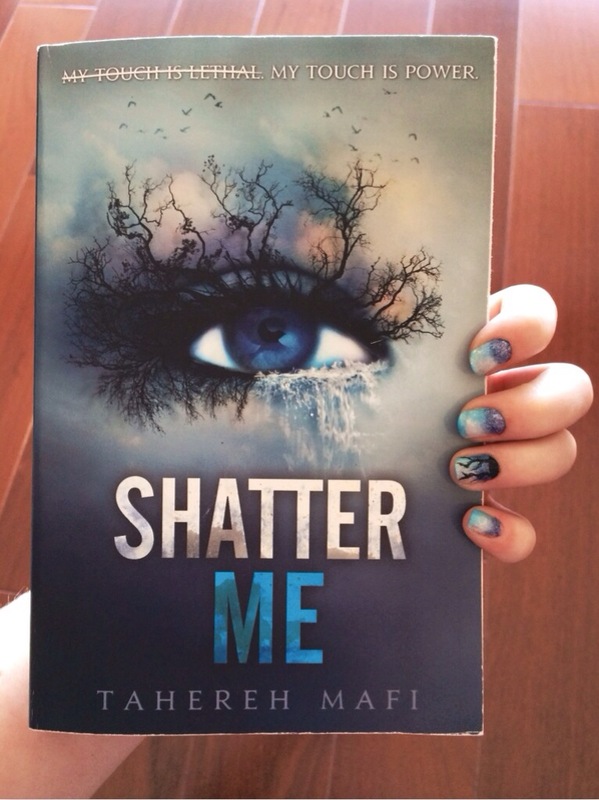 I had such a blast finding inspiration in the cover art of Shatter Me. This is actually a redesigned cover, the original showing a woman in a white flowing dress. Personally, I prefer covers that feature colors, art and drawings, as opposed to photos of actual people. It automatically gives you an image of the main character that might not have been what you imagined from the author’s description. I tend to think that takes out half the fun of reading, which to me is creating those characters and worlds the author has created with their beautifully crafted narration. The cover’s colors really caught my eye, and I knew I wanted to try a fun technique I’d never used before. I grabbed a couple colors that matched the cover (navy, bright blue and creamy, pinky white) and a latex makeup sponge. 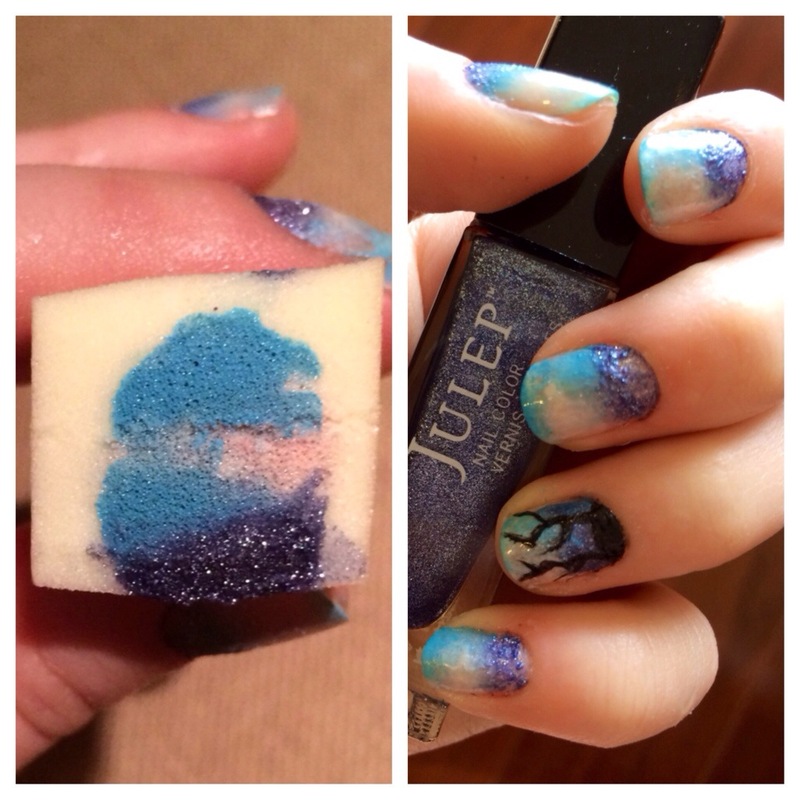 I dabbed onto the sponge the three colors in a similar pattern to that of the book and sponged it in a rocking motion across my nails. *Quick tip! I put petroleum jelly on my cuticles so I wouldn’t have to worry about the nail polish getting sloppy! Once I finished painting, I wiped the extra nail polish and jelly right off. The first coat of nail polish wasn’t as vibrant as I had hope or pictured in my mind, so I let it dry a bit before trying a second coat. I loved how it turned out after the second time around because it blended as well as punched up the colors. When it came to my ring finger, I knew I couldn’t paint the actual eye featured on the book’s cover. While I have honed my nail painting skills, I am not an artist! The eye would have come out looking like a cartoon, and I wasn’t about to ruin this beautiful tie-dye gradient! I took inspiration from the curved shape of the eye, and painted a half moon at the base of the nail. From there, I used my Plie Wand and striping brush to paint the eyelashes/trees. I wanted to get them thin enough to give the look of wild, untamed tree branches. Once the polish dried, I painted a top coat to smooth the gradient, and voila! 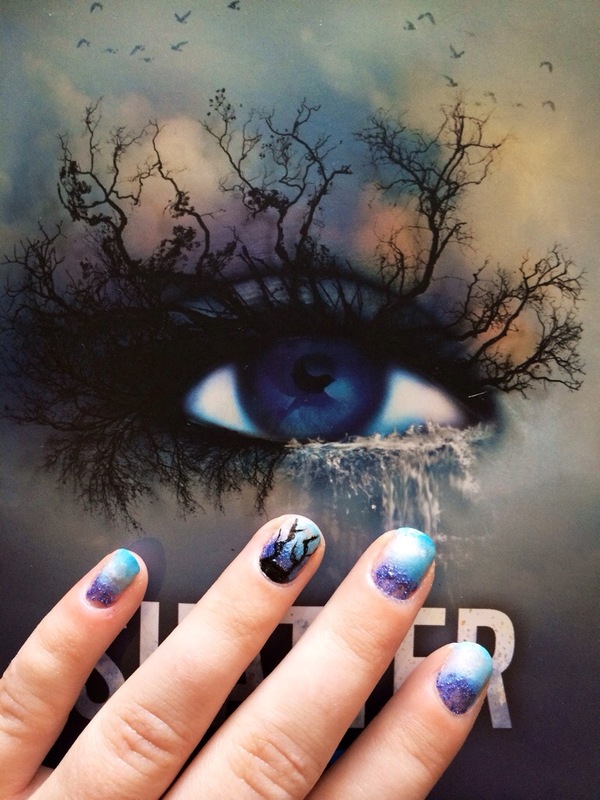 Have you read Shatter Me yet? Let me know what you thought of it! Happy Reading!